For Affordable and Expert Computer Repairs, Services, Laptop Services, Hardware, Software and Network support, in Cape Town and surrounding areas 7 days a week, Contact Virtual It Solutions now 021 419 3213. Call us now: 021 4193213 or submit your request in the contact forms available. The best and quickest Personal computer services, Laptop services,Sever management and software support you will find @ R350/hr onsite or off, We are certified and have over 20 year’s experience. We can assist you with anything IT related from: Software support, PC services, Laptop services, mobile phones, tablets, PCs, networks to any technical gadget that’s giving you grief. Types of PC and Laptop services. My Work or home PC is not working properly. 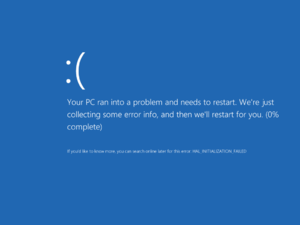 Blue Screen of Death Errors no problem. PC Repairs in most areas. My PC is slow and I suspect Viruses. IT Support or PC and Laptop services. I have a new employee at my business and need a new pc, network or e-mail setup. My Computer, Laptop, Phone, Tablet or Printer is not connecting to the internet, network or server. I want to buy a new computer, laptop, tablet or phone. I need expert advice. I want Windows 8 on my computer and keep everything the way it was before. I need Excel, Word, Outlook and PowerPoint on my computer. I want someone to take care of my Business IT needs without employing full time and save money because I do not need a full time employee to do my software and hardware computer services. Telkom left you in the lurk you need ADSL Answers? Not only do we do Computer Repair , if you need assistance with a new PC or Laptop? We Quote Supply and Setup, transferring all data and settings minus the viruses and ad-ware you managed to collect over the years the best PC repairs and upgrades. Setup you home computer network safely…. Virtual It Solutions for Home Computer services.